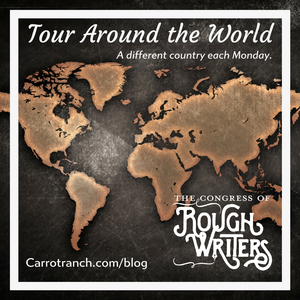 This entry was posted in Blogging, Flash fiction, Writing and tagged Carrot Ranch Rough Writers Tour Around the World, Congress of Rough Writer's Flash Fiction Anthology Vol 1 on May 3, 2018 by Norah. I’m a big fan of Ruchira and look forward to reading her newest book! That’s good to know, Christy. I haven’t read her books yet, but they are on the list.